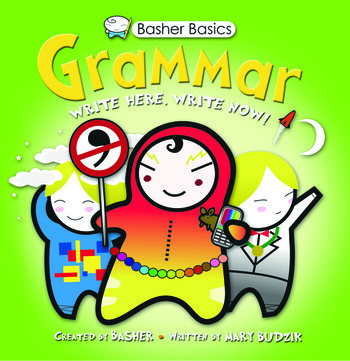 It used to be that learning grammar was one of the most boring exercises ever, but not anymore! Using his trademark personality-based approach, Basher illustrates each grammar basic - from parts of speech to sentence components to groupings and agreements - with its own character, who explains exactly what makes them tick and how they are used. Plenty of practical advice will help everyone unravel the rules and regulations of the English language. The book's cutting edge design and innovative approach will make it perfect reference for linguists of all ages who struggle to remember the difference between a preposition and pronoun. Simon Basher is the creator and illustrator of more than ten best-selling concept books for children including The Periodic Table, Physics, Biology, Astronomy, Math, and Punctuation. Based in London and Tokyo and specializing in "graphic surrealism", Basher's original artwork is regularly exhibited and sold in the UK, Europe, the US and the Asia.